Various studies have shown that most people trust online reviews as much as a personal recommendation. When it comes to local SEO, getting your customers to leave a positive review for your business on Google is quite important. When potential customers search for a local service or product, they usually see the business in the search results with a map, which often includes the name, location, phone number and reviews other people have left for the business on Google. The number of positive reviews that your business has can have a direct impact on how your business ranks in the local map pack in search results and how customers perceive your brand. So, it’s in your best interest to get more customers to leave reviews for your business. It has become increasingly harder for people to leave a review on Google. 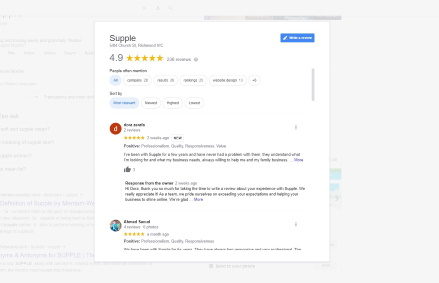 Since there is no simple way to get a direct link that you can give to your customers, Supple has created a tool that generates a unique Google Review link for your business. The best way to increase reviews for your Google Business listing is by sending the direct review link to your customers. This is the easiest way for customers to leave reviews for your business, rather than searching for your Google page on your website – most people can’t be bothered with that! The process is really easy, all it takes is a couple of clicks and the customer can leave a review based on their experience with your business. Which review option would you like to display? Will show the review box where customers can add their review. With this option we will show the list of existing reviews for the business. How to generate a direct link to Google Business review page? Start by entering your business name in the search box and we will generate a Google review link for your business. Please wait a few seconds as we generate your link, then it will show up below. You can now copy the link and send it to your customers via email or any other method. 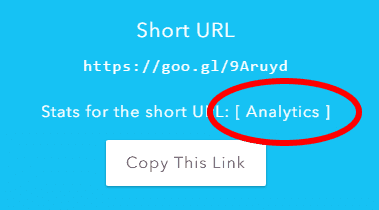 We also provide you the option to view the analytics for the generated URL, which will give you statistics on the number of clicks, countries, browser and referrer. Simple, click on the ‘Analytics’ button under the Link to Review. Can I use this if I don't have an existing listing on Google Maps? 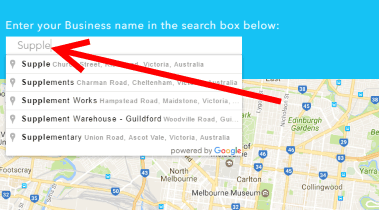 To use the review link generator you need to have an existing Google map listing for your business. If you don't have one you can create one using Google My Business. Once you create it, it can take a few days before the listing showsup in our tool. Can I use this if my Google Map listings has a P.O.Box address? 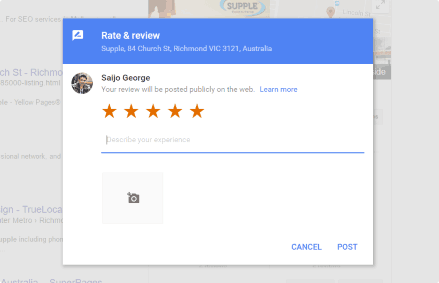 The Google Review Link Generator will only work with businesses with the full physical address. ( street number, street name, etc ). It's a limitation of the Google API that we use, we can't automatically generate the URL for business listings with no street number and name. How to get customers to leave a review on Google? 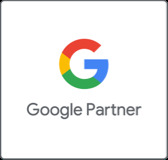 If you successfully interact with a customer either face-to-face or via email, you can send them a follow up email with the Google review link included. If you are helping a customer resolve an issue via live chat (if you don’t have one, check out our FREE Facebook Chat Tool), once you have resolved the issue, you can ask them to leave a review and send them the direct link. Thanks for checking out our Google search operator cheat sheet. We are an Digital Agency specializing in Search Engine Optimisation, AdWords, Web Design and Retargeting. Get in touch with us if you think we can help you with your digital marketing campaigns.